Did you know that one of the most important factors of proper surface preparation before technological processes is its cleanliness? Do you know how to check it? 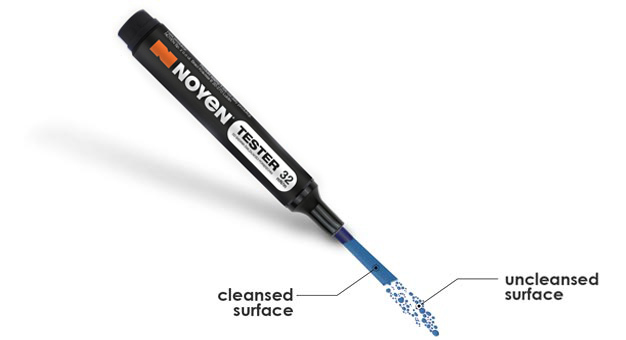 You can use a surface wettability tester, which will show you the degree of cleanliness of a given surface in a very simple way. 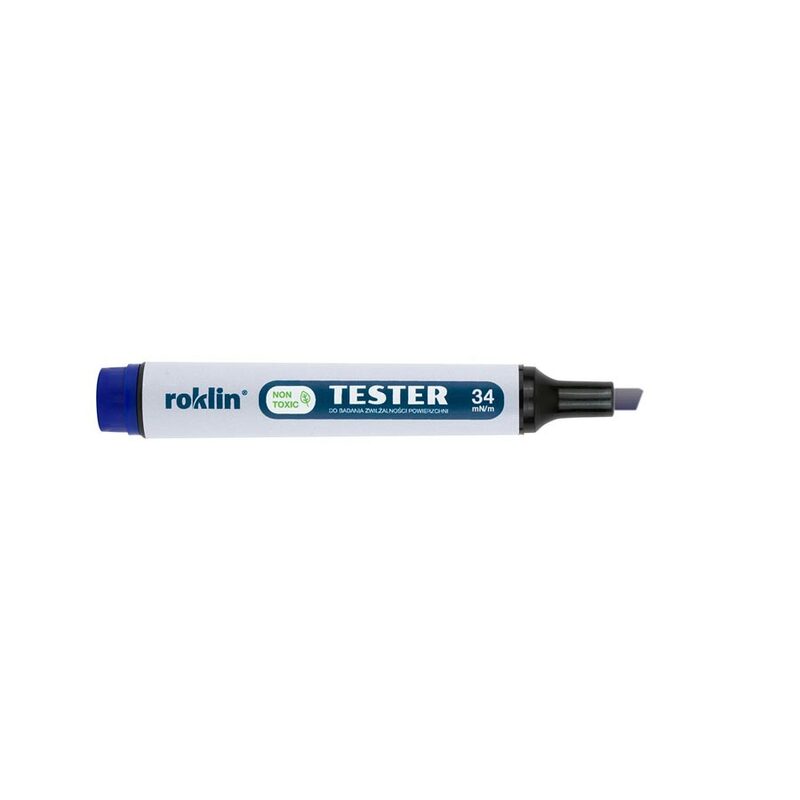 With the Roklin tester you can check the cleanliness of the surface before the start of such technological processes as painting, hardening, welding or gluing as well as during the operation of cleaning baths. Such a test has an incredible impact on the final effect of the elements manufactured. The wettability test should always be carried out after the washing process. Send us the address, where we should send you the NOYEN TESTER — fill in the form below and click "SEND". Within 3 days, we will contact you by phone to confirm your shipping address. 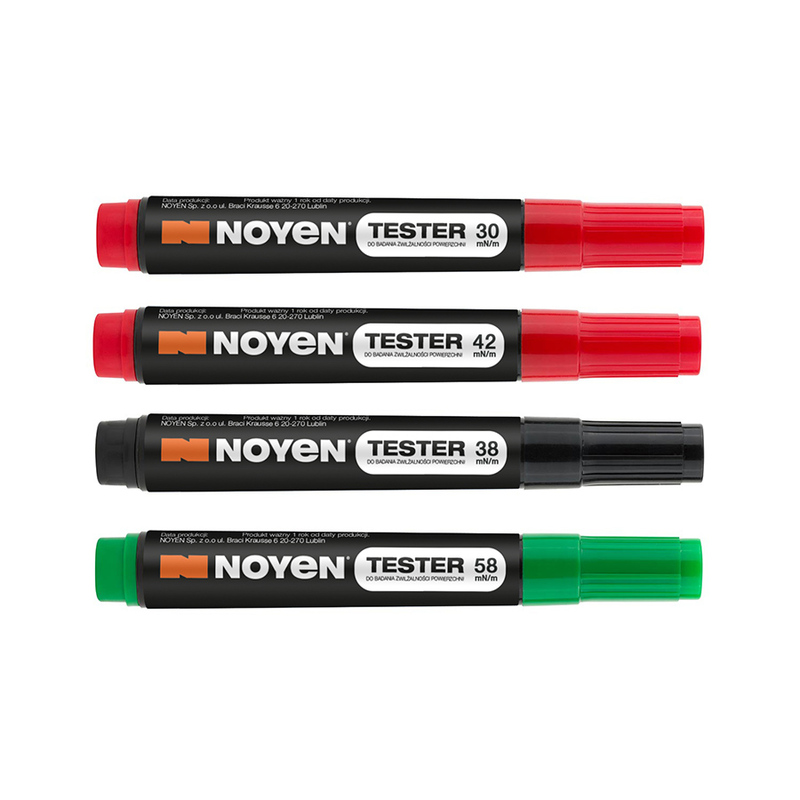 Should you have any questions, write to us: chemia@noyen.com – we'll get back to you right away! I agree to the processing of my personal data by NOYEN Sp. z o.o. with its registered office in Lublin, ul. 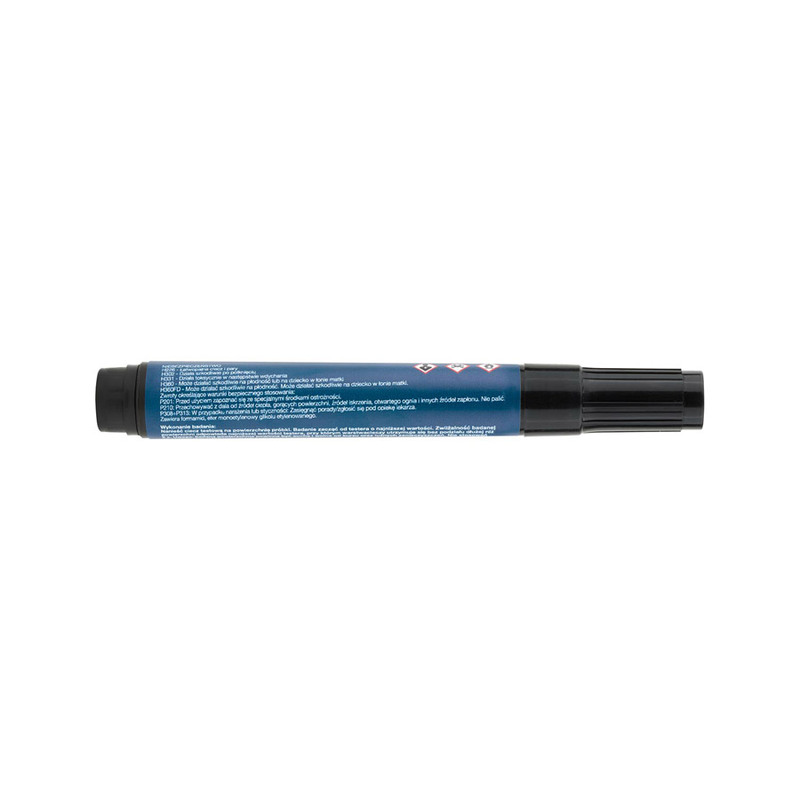 Braci Krausse 6, for marketing purposes, in particular for the purpose of receiving newsletters and other commercial content by means of electronic communication in accordance with the Act of 18th July 2002 on rendering services by electronic means to the e-mail address provided, as well as by telephone. The consent is voluntary and may be withdrawn at any time. Withdrawal of the consent shall not affect the lawfulness of processing carried out on the basis of the consent prior to its withdrawal. 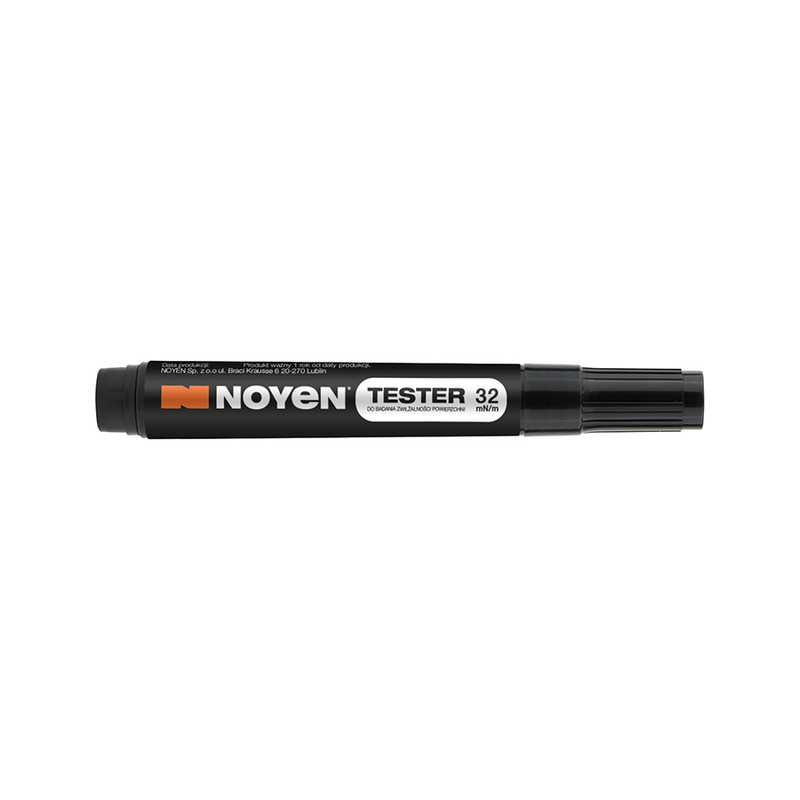 I have read and accept the Terms of the promotion "GET A FREE SURFACE WETTABILITY TESTER" made available by NOYEN Sp. z o.o. with its registered office in Lublin, ul. Braci Krausse 6. The test consists in drawing dynamically of one or more lines on the test area using the Tester with a total area of at least 6 cm2. If the marker line creates an uninterrupted film that lasts for at least 2 seconds, it indicates that the wettability of the surface corresponds to the value of the Tester (e.g. 42 mN/m) and the required level of purity has been reached. 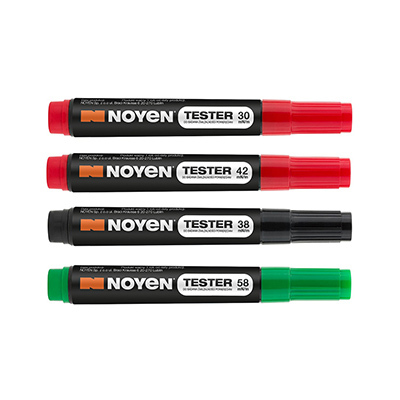 The NOYEN TESTERS set contains four types of mixtures closed in easy to apply packaging (markers), allowing to test the wettability of the surface in two ranges — lower, for the value: 30, 32, 34 and 38 mN/m and higher, for values: 42, 46, 50 and 58 mN/m. 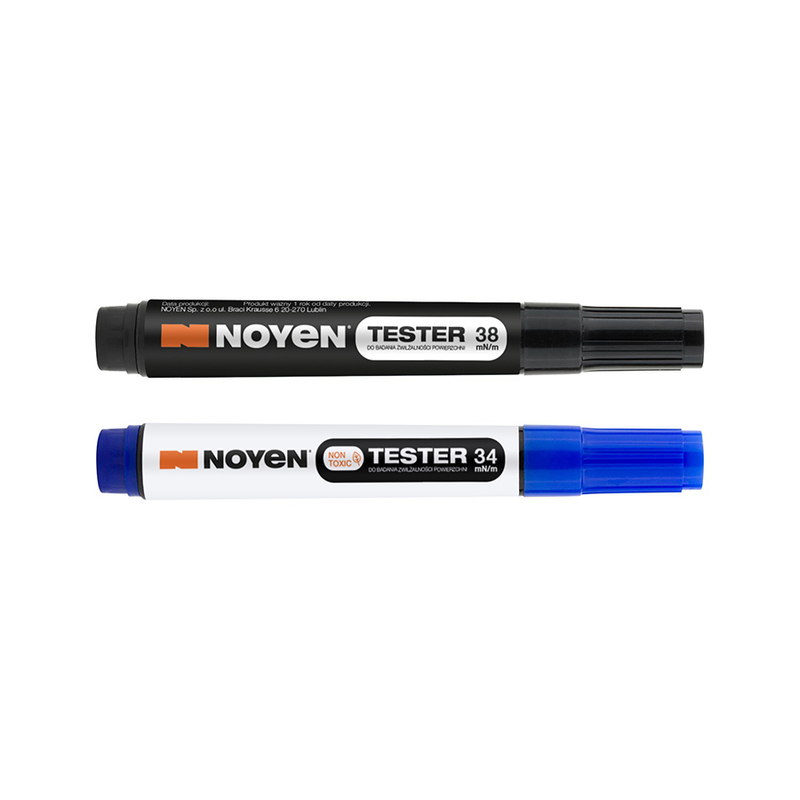 Upon customer's request, it is possible to prepare a set of testers with selected values in the range of 30-73 mN/m. If the wetting rate is at least 42 mN/m for steel and 34 mN/m for aluminum surfaces, the surface is considered to be sufficiently clean and ready for subsequent processes. A value of 58 mN/m indicates a very high degree of cleanliness. To meet the requirements of our customers, we have created a series of NOYEN NON-TOXIC testers, which replace the standard line of testers in accordance with the norm ISO 8296.